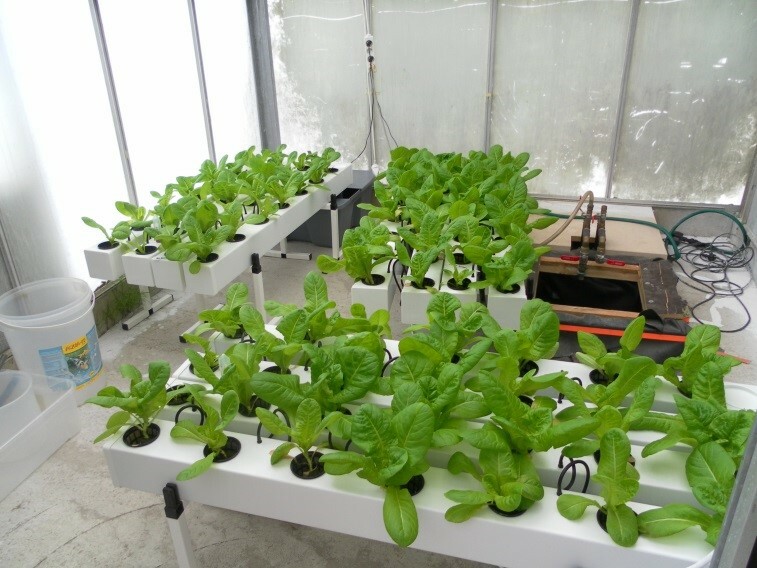 In a study published in the peer reviewed journal Water, aquaponics outperformed hydroponics especially in shoot weight (39% higher). Microorganisms and dissolved organic matter are suspected to play an important role in aquaponics for promoting plant roots and shoots growth. The study was conducted by developonics. Click to download study in PDF format. The experiment at a university greenhouse in Gembloux (Université de Liège), Belgium, at an early growth stage. This confirms the findings of Nick Savidov's previous work.